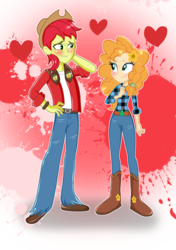 Short description: For images directly related to the Equestria Girls franchise as a whole. For images either directly related to the Equestria Girls series of movies, or characters drawn in an Equestria Girls style. Images that do not have a direct corrispondence to Equestria Girls (such as ponified Sunset Shimmer or Dazzlings) should not be tagged with this tag. Use equestria girls (movie) for images directly referencing the first movie. Note: For searching/filtering purposes, Not to be tagged along with Human or Humanized.